thanks again for all that you do for this contest and for this blog! looks really good, where do you get crema balsamica? and squids with ink sacs? I see them all too clean here. Hi there. Thank you for dropping by. Crema balsamica is available in some grocery stores. It is actually balsamic vinegar that has been reduced into almost glaze. It is widely available in the market and I hope you could buy them in your area too. The squid that I buy is not cleaned yet, so the ink sac comes with it. They are available in specialty seafood market. I usually get them in an Asian Market as it is a good source for uncleaned squid. Hi Malou! Just know that we are all behind you and want you to WIN in the Coco Contest. If you ask me, you're already a winner with all these wonderful recipes you share. It's no wonder you have a large following. So relax, enjoy the ride, have some good eats, pour a glass of wine and just chill. 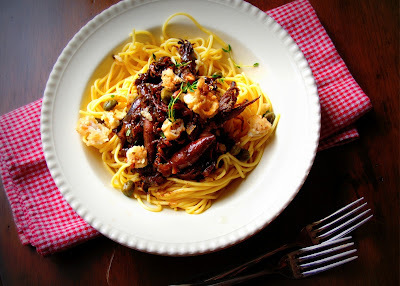 This is another awesome recipe btw - I love the flavors you used here for the squid adobo. Thanks for sharing! I am so grateful that you are with me in this journey. Thank you for your tips and strategies. I hope I will stay in the course til Friday. i hope you do nff. I'm so proud about you Malou. It has always been your passion and you are exactly doing it. 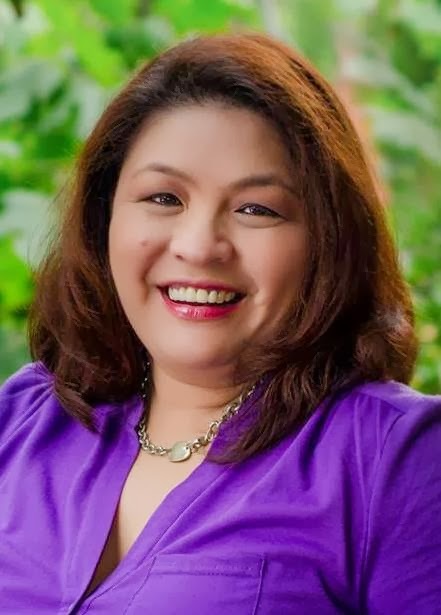 You deserve to win but if you don't remember that you have won the hearts of the people of Tuguegarao. They are working extremely hard for you. Be proud! Found your site thru Cook Taste Eat, so happy to find a pinay in the compeition! I am living abroad and have been looking for a site for recipes that remind me of home, and here you are! Huwag mag alala too much with the contest - I voted for your dish but also checked out the leader. She has something like more than 42,000 facebook followers (!) and 20,000 twitter followers (!) and siya ay napaka sikat on the internet it appears, so do not feel bad if she wins bc she has a lot of pull. It is natural that when ever she is asking for votes, many of her followers will give her a surge all of a sudden. We are proud of what you have done in the face of such a strong competitor! Suwerte! Adobo squid pasta looks interesting and delicious. Must be very flavorful with all the sauce glazing the squid. Never thought of adobong pusit on pasta but this looks heavenly! Glad I found you through Betty Ann and Ray. So nice to meet lots of talented Filipino Bloggers.